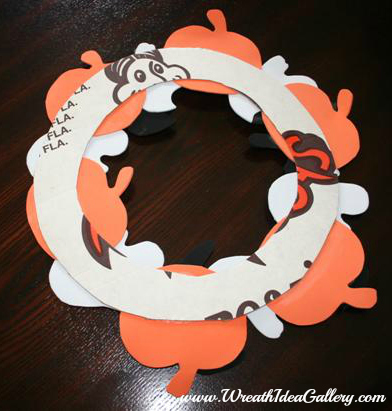 Foam wreaths for Halloween, or any holiday. 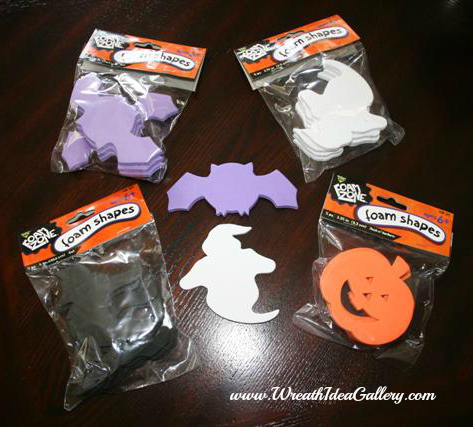 All you need is a variety of foam shapes and you are set. 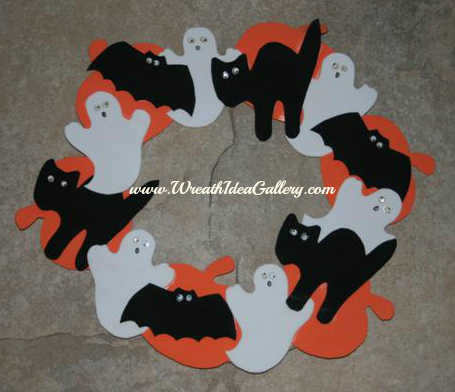 Several years ago I made this foam wreath using these Halloween shapes. for these I traced the shapes onto 8 x 10 sheets of the forms and then cut them out. These days you can buy shapes already made for just about any holiday or occasion. I bought these just after Halloween for $1 a pkg. 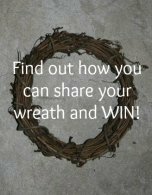 Believe it or not this wreath is on a circle cut out of a pizza box. Anyone recognize the pizza box? Your foam pieces can be glued to a flat form of any kind. Add some plastic movable eyeballs for some great looks. This is a great project for children. In a preschool setting, whatever your theme is you can cut objects out of foam and the children can glue to a form, pizza box if you have one, and you have an easy theme related art project. Ready to send home and hang.